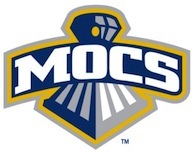 The Tide steps out of conference with afternoon date with the Mocs. The Greater New York Chapter invites Alabama alumni to join us at The Ainsworth as the Crimson Tide takes on Chattanooga at Bryant-Denny Stadium. Kickoff is set for 2 p.m. on Pay-Per-View. The Ainsworth features a state of the art sound system with the staff decked out in Crimson and White. Combine this festive game watch atmosphere with great game day drink specials, there will be no better place in the tri-state area to watch this game. FOR CHAPTER MEMBERS - To reserve a table at The Ainsworth, please provide the number of guests (maximum of six) and the name you would like on the reservation in the comments section, if applicable. Reservations from dues-paying chapter members will be given priority on a first-come, first-served basis until Wednesday, November 20 or until all tables are reserved, whichever comes first. FOR NON-CHAPTER MEMBERS - Remaining tables at The Ainsworth will be opened for non-member reservations on Thursday, November 21. Please provide the number of guests (maximum of six) and the name you would like on the reservation in the comment section, if applicable. The reservation cut-off for members and non-members is 5 p.m. on Friday, November 22. You will no longer receive an e-mail confirmation. The RSVP list for this event on UANYC.com will show the status of your reservation. Reservations are not required. A limited number of tables and the bar area will be available for open seating on game days at The Ainsworth. Jennifer Randazza will serve as game captain. Our game captain will be on hand to welcome you and offer any guidance to help make sure everyone experiences the best game watch experience possible.